No Skidding® Mop Friendly Black Grit Tape is designed to offer enhanced anti slip protection while also ensuring a snag free mop cleaning experience. We have taken our premium grade traction tape and modified the traction grit to allow it to be mopped without catching the mop strings. 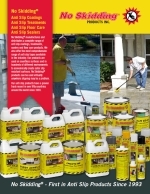 This product has an aggressive acrylic adhesive system that bonds to most clean, grease free and dry surfaces while offering water resistant long term bonding characteristics. 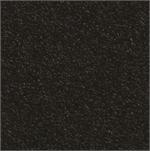 This product is our recommended choice for areas where frequent cleaning is common. This product is offered in black only. 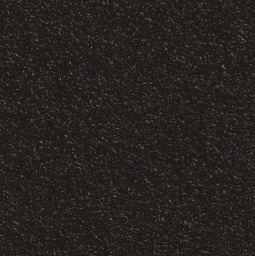 No Skidding® Mop Friendly Black Grit Tape is designed for indoor and outdoor non-skid applications that require long-term anchorage to a variety of surfaces that need to be mopped on a regular basis. Minimum application temperature is 50°F (10°C). 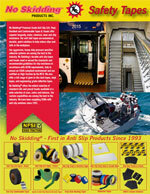 Minimum order five pieces 6"X24"
Frequent cleaning and traction tape don't always go hand-in-hand. This Non Skid anti slip tape has a special grit surface with enough traction to help prevent slips and falls without ruining your mops.